This Jordan Chain Link Necklace Set is unique for its exquisitely elegant. Plated with gold for a high-shine finish, the necklace features large multiple links interlinked for an edgy look. Drop earrings with chain link pendants. 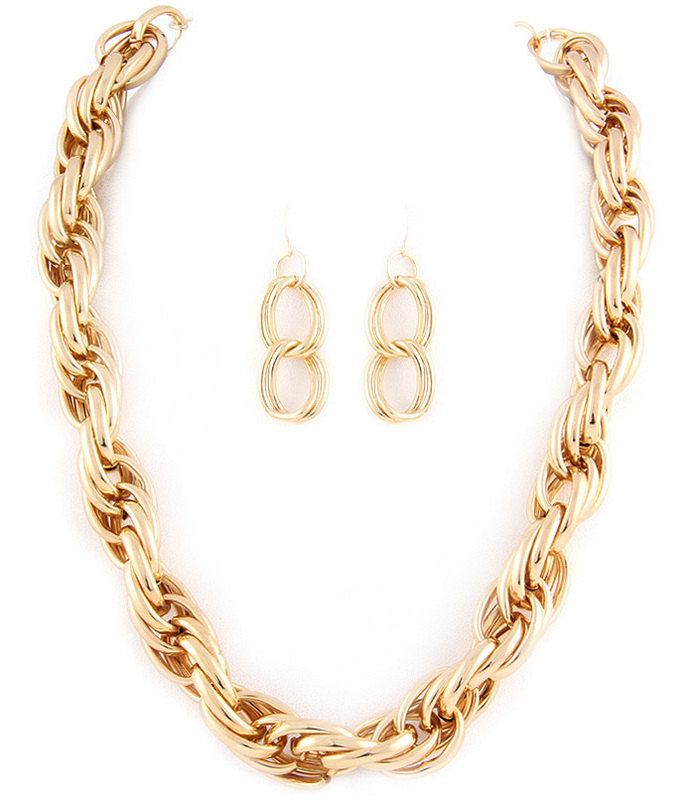 Purchase this chain link necklace set and other jewellery to qualify for a free bonus bling gift.